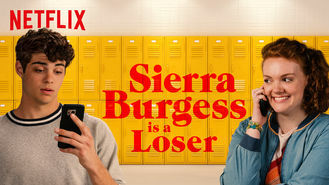 Not in Canada but still want to watch Sierra Burgess Is a Loser? A wrong-number text sparks a virtual romance between a smart but unpopular teen and a sweet jock who thinks he's talking to a gorgeous cheerleader. His text was meant for someone prettier, more popular. But he fell for her words. Now she'll do almost anything to keep him on the line.